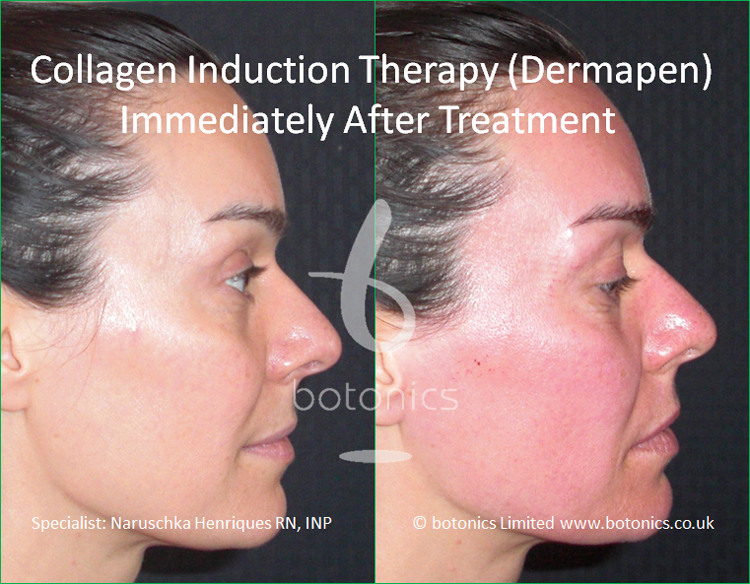 Comments: Example of how skin looks immediately after medical needling treatment. 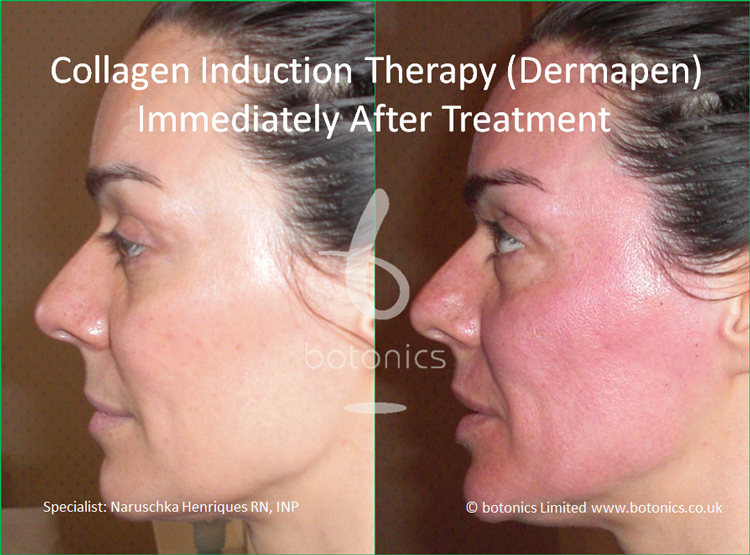 Redness subsides in 24 - 48 hours. Comments: Client unhappy with crows feet around and under eyes. 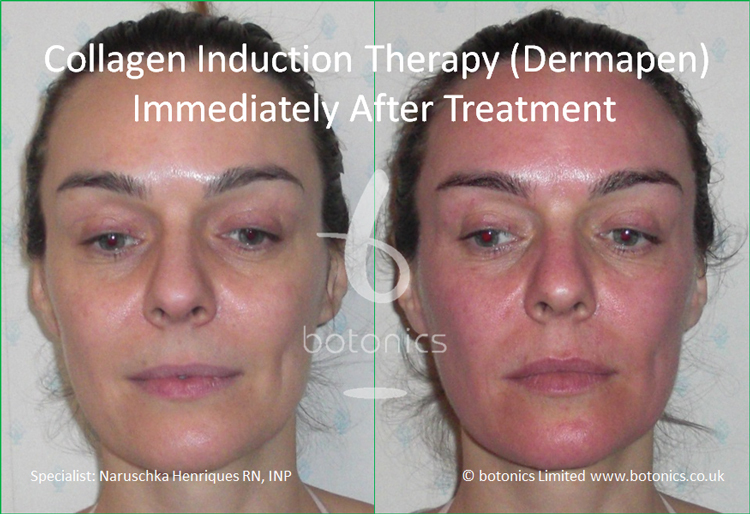 Comments: Stretch marks following pregnancy improved with collagen induction therapy. 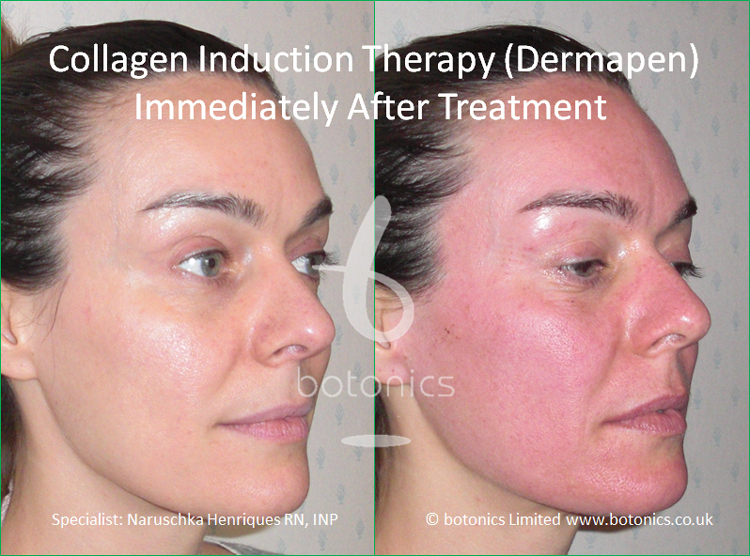 Comments: Client had moderate acne scars since a teenager and wanted to improve them with collagen induction therapy. 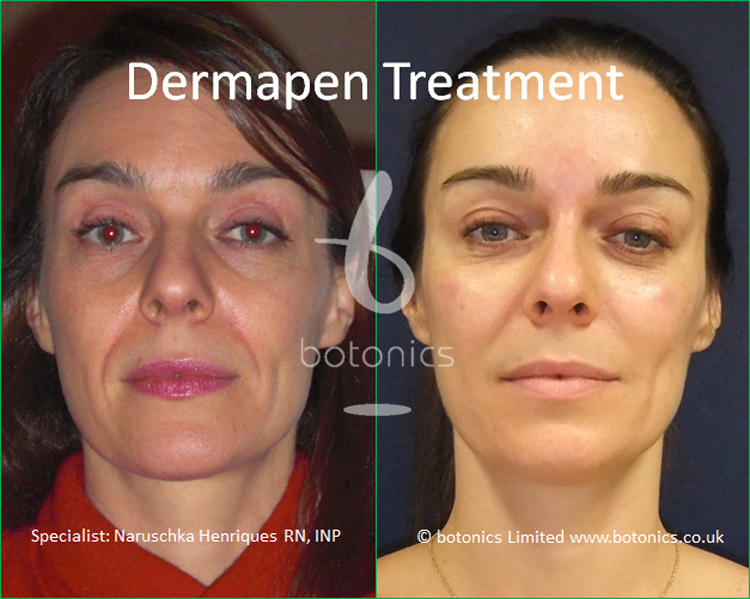 Comments: Client unhappy with acne scars. 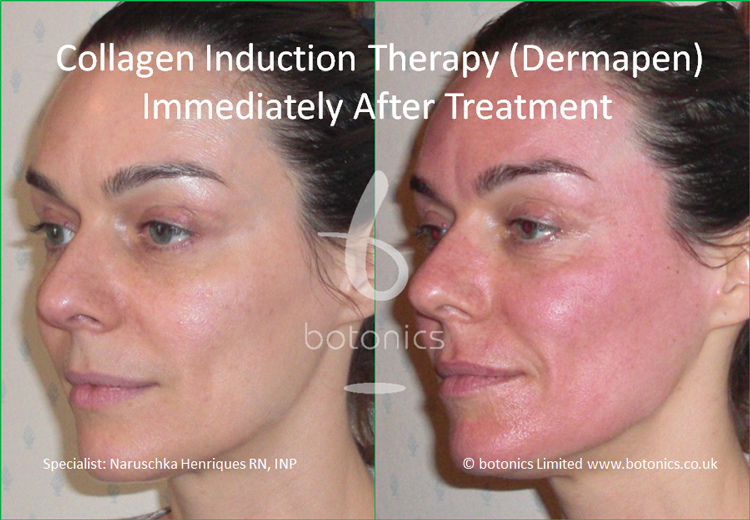 Active acne resolved then collagen induction therapy used to improve appearance of scars.